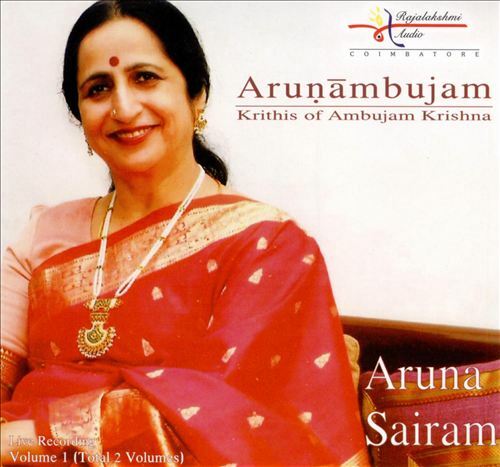 Live Concert - Chennai December Season 2003 - Presented by Karthick Fine Arts at Narada Gana Sabha. 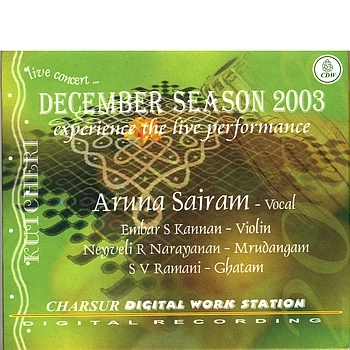 Recorded on 9 December, 2003. 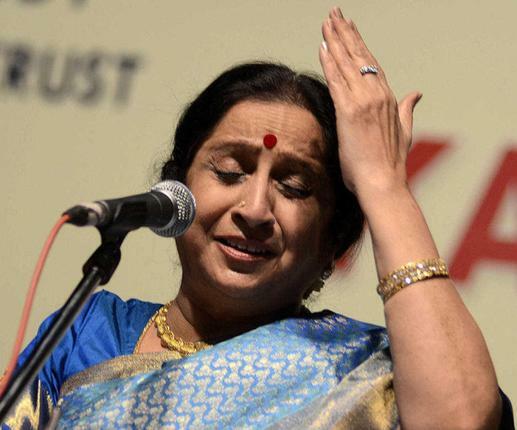 Beginning with a strong base, classical core, as prepresented by T. Brinda, and Bombay Ramachandran, Aruna Sairam has moved on to a position from where she seeks to attract both the cognoscenti and the lay listeners to Carnatic music. Her string base in Classism has ensures that she does not dilute her standards, while at the same time offering music to entertain emotionally. She thus forms a unique bridge that unites the intellect with emotion. 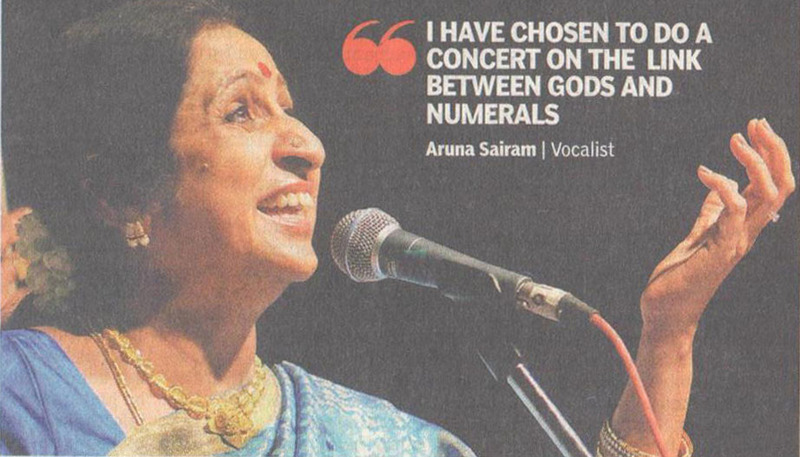 Blessed with an extensive repertoire that is unique in many aspects, Aruna's concerts are extremely lively affairs.